The Congress with it’s pleasant face, over the decades, always assured roti, kapda and makaan. They were like the nation’s lead actors… all of them had the glib assurance of a dynasty, of what in timid sociological language, is called guile, cunning and tacit inheritances of political environment. This includes language skills, ability to wear turbans of different sorts, and to engage with the masses. For the Congress, the masses remained what they were, the rural proletariat. Within this they would occasionally target Muslims, women, third gender, industrial workers, farmers and Dalits. It did not make a difference to them. During Rajiv Gandhi’s term the Congress were assaulted by public outcry, when the assassination of Indira Gandhi was followed by a huge pogrom of Sikhs, many of them who fled to Punjab. In turn, they were followed by a mass migration of Hindu Pubjabis, who now felt that they would give Delhi the colour it lacked. As a result, they were the harbingers of right wing politics and a commercial revolution which brought in fast cars and shops and a spurious designer culture, which grew in time, to put Delhi on the map with other great haute couture cities of the world. To think that it took 33 or 34 years to change Delhi from an iconic bureaucratic and university city to an untidy constellation of consumer townships all jammed together. Rahul and Priyanka Gandhi are amused by changes, they are not affronted by change. Rahul would quite happily sell the farmers with small landholdings to the industrial oligarchy of landowner and capitalist farmers. 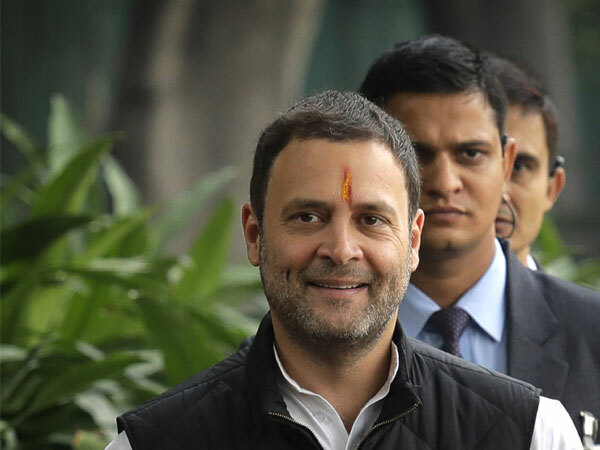 Rahul uses his bucolic charm to assure the poor that he is one of them, and now his sartorial attire mimics the University students of the 1970s who would come every day to college in blue jeans and ironed khadi kurtas. He is not offering anything new, or different, but he is saying that he enjoys politics and is here to stay. What skills he learns as he moves on, is hard to say. When his father said “When a great tree falls, the earth shakes,” he was met with aghast observations from the upper middle class, which certainly did not go along with Rajiv’s banana boat republic of Mayo school and Doon school expatriates. While one remembers them with some alarm, one knows that as advisors to Rahul they could not have done any good. His current mentors are Kapil Sibal, Sheila Dixit and Mani Shankar Aiyar. None of them are known for democratic styles of functioning. So why would the proletariat want to vote Rahul back? The only reason would be, of course, because he has learned a new humility, and with it comes charm and humour. The Indian people, farmers turned clerks, peons and factory workers, are always ready to forgive. Finally, what they are really looking for, in caste biased India, is to be left alone so that they can worship their known gods, (who might not be the Sanskritic high gods and goddesses,) and to eat the food that they are used to, and have freedom of speech and action. The latter allows them to move across the country, and to find work, as citizens of India. They learn local languages, and while never trying to fit in, as the rules of commensality and marriage are as rigid as ever, they do try to accept the customs and conventions of the places they find work. This minimum requirement of freedom and mobility is something that the secular Congress does promise. While homogenisation, and theological colonisation, (where the lesser gods were extinguished in praise of the cult of the Warrior Ram,) were accepted by the working class, let us remember that they presumed that education and right to work, would go with it. The casteist Hindutva bandwagon does not provide this basic human right of education and standards set by the Manmohan Singh government, though the latter were a cartel of free loaders who neglected the poor economically and promoted industrialised agriculture. The present government has always claimed that it continued with many of the policies of the previous government, to the chagrin of the Congress workers. However, when it came to the educational aspects, they preferred to pump up war machineries. Rahul belongs to a nuclear family line of dynasts who have simple oratory skills or learns them… Rajiv used to preface every speech with “Hum ko Dekhna Hai...” which even his speech writers could not dissuade him from. Sonia’s faltering speeches were polished over two decades. And now, the middle aged Rahul, says for TV and audiences, “Gabbar Singh Tax!” for GST. The totemic cow has already been displaced from the Hindutva brigade’s list, and Rahul will play the Dalit card by offering Ishta Deva as his trump card.